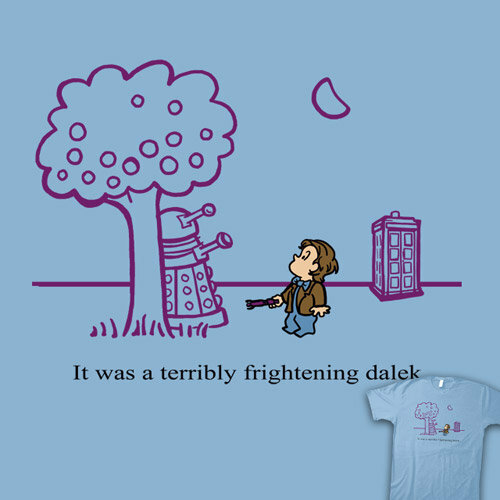 Karen Hallion mashes Dr. Who with Crockett Johnson‘s Harold and the Purple Crayon! An apt comparison. Just as the crayon guides Harold through improbable distances, so does the Tardis — its ability to navigate the universe is as impressive as that purple crayon. Hat tip to Fashionably Geek and Gene Kanenberg Jr. (on Facebook). The t-shirt is available here.